Anaheim Ducks players at K1 Speed! 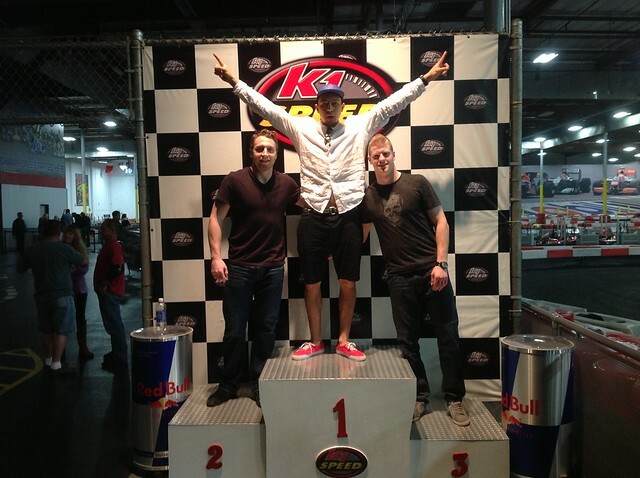 Emerson Etem, Brandon McMillan and Peter Holland visit K1 Speed Irvine! Brandon McMillan is a Canadian professional ice hockey player. He currently plays with the Norfolk Admirals of the American Hockey League. He was drafted by the Anaheim Ducks in the third round of the 2008 NHL Entry Draft, 85th overall. Peter Holland is a Canadian professional ice hockey player. He currently play plays with the Norfolk Admirals of the American Hockey League. Holland was selected by the Anaheim Ducks in the 1st round of the 2009 NHL Entry Draft.